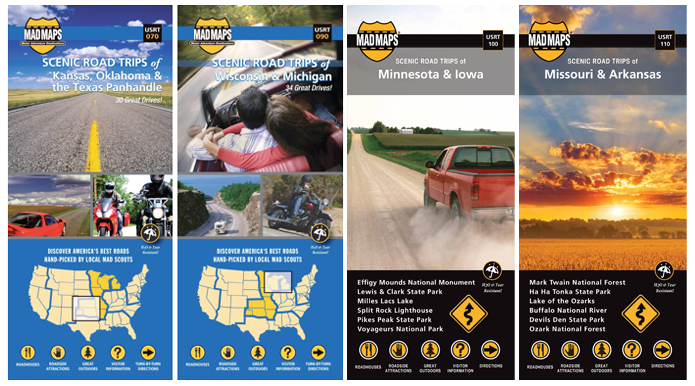 Road trip planner: offers a Wisconsin map and a Michigan map, showcasing the best of the region via 34 trips. Seeking day trips or weekend getaways? Our scenic drives are all you need. Our local scouts showcase the scenic highways, scenic byways, plus the best places to stop along the way. They discovered magnificent natural wonders: Tahquamenon Falls; Manistee National Forest; Wilderness State Park; Silver Lake State Park; Pictured Rocks National Lakeshore; Isle Royale National Park; Alger Falls; Craig Lake State Park; and Mackinac Island State Park. The Upper Midwest offers a charm unlike any other part of the country...and we're happy to share that charm with you with 34 road trips. 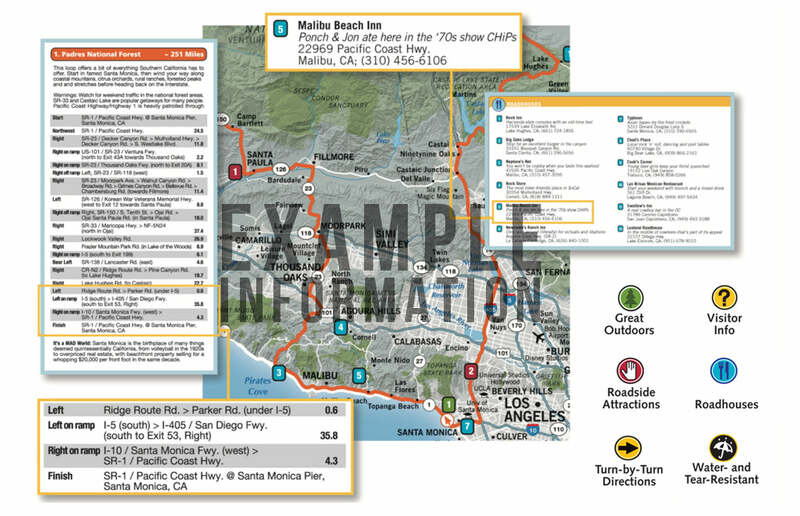 MAD Maps' road trip maps are available in traditional paper maps, as well as maps for iPhone and Android.